Hey everyone. I bought this truck over a year ago, and had a lot of issues getting this running. Every time I fix a problem, it runs for about a month give or take then another issue rises. The last one had me stumped. I was getting a crank no start which started to be intermittent then after changing ignition coil, pip coil, and ignition control module, still crank no start. What helped me figure that one out was I was getting no pulse at the injectors. So I concluded either a ecm or ignition switch. Took a guess and went with the switch, and it ran great again for a month or so. Now the issue is when I turn the key koeo the fuel pump runs constant, and crank no start. I'm leaning towards the computer but this is just a guess. Anyone know how to test this, or have any ideas? Could it be the ignition switch again? Any help would be appreciated. Thanks All. No it would not be the ignition switch again. Does sound like a bad computer. No it would not be the igniton switch again. Thanks for replying. Any idea how to test this? I'll pull it tomorrow, and give it a visual inspection. 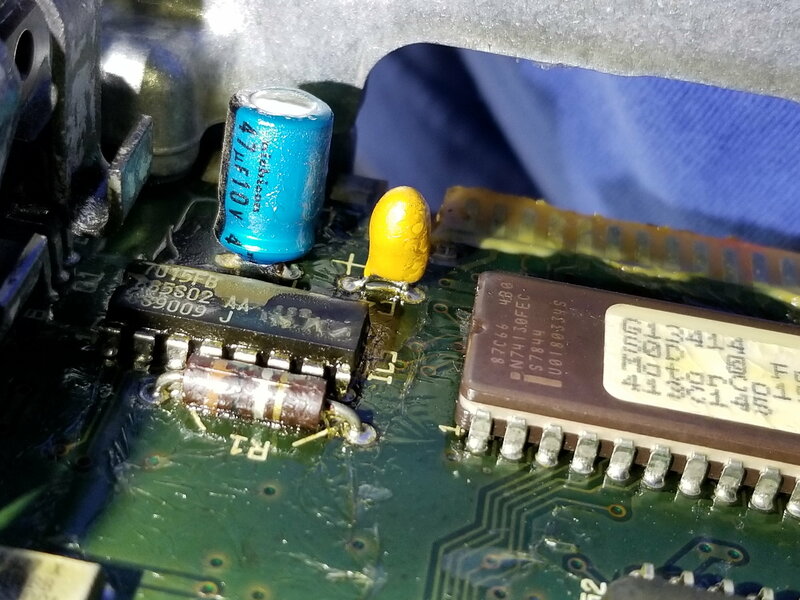 pull the PCM and look for blown/burnt/corroded capacitors. Scroll down to test 6 it explains what you suspect. That's what mine did ... fuel pump ran all the time .... bad caps. Open the cover to the computer and replace the electrolytic capacitors. I used donor boards from used computer cards. If you know how to solder or know someone who does then write down the cap values and voltages and order from Mouser.com. Note: You can go higher on the voltage say 10V to 16V, 16V you can go 25V but the size of the cap will increase, maybe the diameter or might get taller. Just measure and if it fits then you are ok. Watch the polarity, black strip = negitive. Enjoy the read. I went through the same battle. Thanks for the reply everyone. Big red that was a great thread. I'm going to pull the pcm later today to inspect it. I'll keep everyone updated. I took the pcm out today, and this is what I found. As these trucks age,it will become more common,everything wears out eventually. 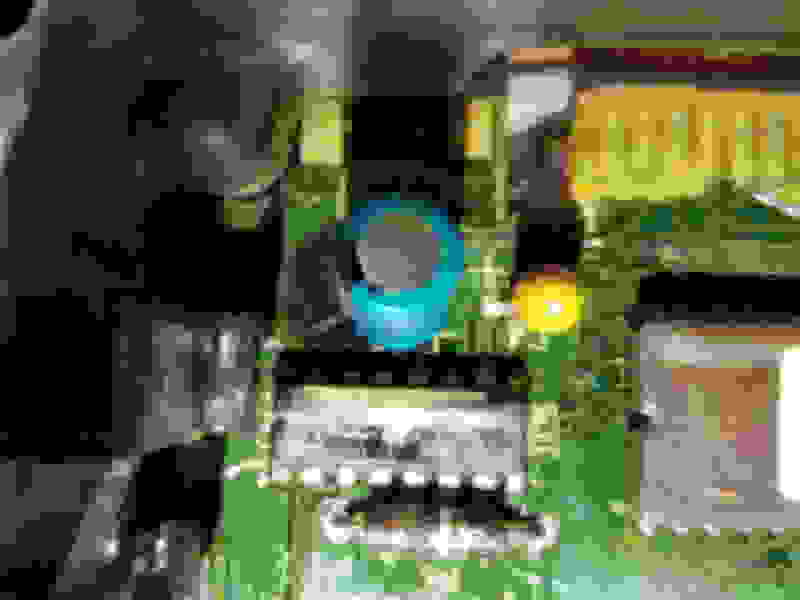 The 47uf 10V cap also has a buldging top which is another sign it is bad. Replace all of them even though the others look good. The yellow one "C4" is a tantulum Cap they don't leak but they will pop and burn. Your call but I would replace them all. I ended up buying a remanufactured one from carid.com. It was $117 with the $50 core charge. I don't think that's a bad price. I wanted to just change out the capacitor, but it seems the part under it might have been affected also. It should be here by the end of the week. I'll check back in when I install it. It would be nice if you or one of the wizards like subford could do a write up on how to on what to check on the truck side of the harness prior to installing the new ECM try to rule out another problem. A video is more helpful to me but maybe each wire to check, continuity, resistance etc. 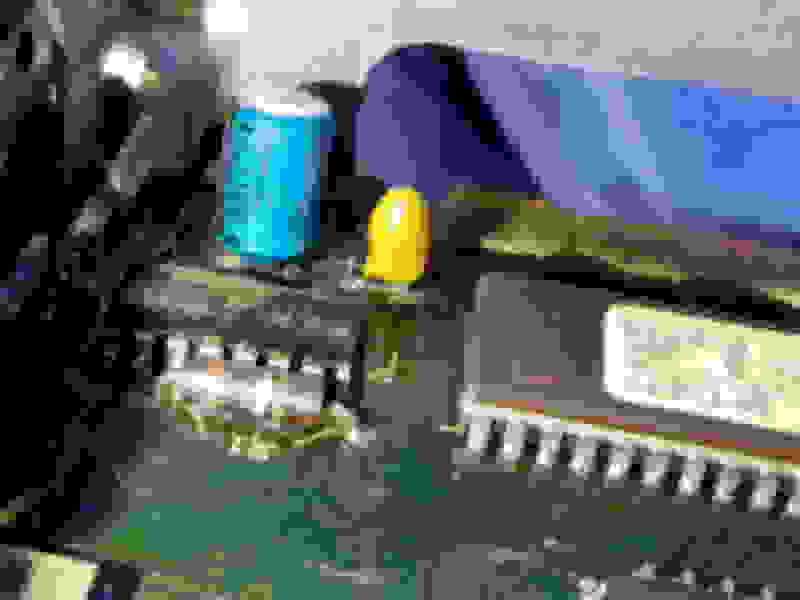 I know that there are a number of problems which may cause a no start or start and stall related to damaged ECMs or wiring.